Yes Travels has been successfully perfecting the art of tailor made travel for over a decade. We help our discerning clients experience the world from a unique perspective. Each journey is flawlessly tailored to provide the traveller a hassle free experience. 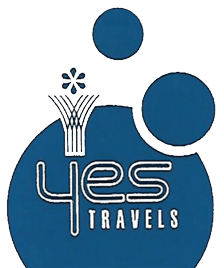 Yes Travels specialises in leisure travel ,corporate travel , events ,weddings , conferences In India and overseas . Yes Travels is founded by Rekha Chhabria over a decade ago with well trained professionals. We work hard to understand each client and partner to design them the ultimate itenary that will be exciting ,unforgettable.lifechanging and etched into their memories forever. Being the authority on experiential travel we offer impeccable personal service. As our name suggest we never say NO to satisfy our client.